Louisville Carpet Cleaning, Upholstery Cleaning, Tile & Grout Cleaning, Window Cleaning, Gutter Cleaning, Pressure Washing, Oriental Area Rug Cleaning. Have dirty carpets in your Home? Tried to clean a coffee, wine or any other spill on your carpets and It didn’t get clean? Call Rodriguez Cleaning Services, Carpet, Area Rug Cleaning & Water Damage at 502-365-6779 for a free consultation about your Louisville Carpet Cleaning problems. Rodriguez Cleaning Services, Carpet, Area Rugs & Water Damage has been taking care of Louisville, KY area for all its carpet cleaning needs since 2012. We are known for showing on time, Hard Workers and Great Work Ethic. Which has allowed us to help a lot of families to take care of their carpet and area rugs. When I, Dayron the Owner of Rodriguez Cleaning Services opened the Door in 2012 to the Families of Louisville my Goal was To offer the Most Outstanding service experience ever or It’s Free. Yes Free. We are very confident on our Education and Skill. Our Company keeps growing Rapidly but At This Point we are still Very Small with 2 Full Time Truck at your service. At Rodriguez Cleaning Services we like that Personal Touch of Knowing each and every client. Listening and Knowing our clients allows us to understand your priorities and mayor concerns. When You Hire Us At Rodriguez Cleaning Services for your Louisville Carpet Cleaning, you will Receive a detailed and careful Louisville carpet cleaning services. Our 12 Step Carpet Cleaning Service will fit all your needs. If You Are looking for a $99 Dollars Carpet Cleaning Service where they will cut corners and do a light cleaning, that’s not us. We don’t work for everybody in Louisville. We work for those of you who are looking for a reputable carpet cleaning that will look at all those little details including taking care of your home while work in it. We don’t do Light cleaning or touch ups. You will get a 12 steps deep carpet cleaning service. Benefits of Working Rodriguez Cleaning Services for Your Louisville Carpet Cleaning. Many Louisville Carpet Cleaning will offer you quality service and guaranteed satisfaction as well us. But what makes Rodriguez Cleaning Services, Carpet, Area Rug Cleaning & Water Damage stand out. Very Simple. Our Reputation, Experience, Education, Systems, Guarantee. Experience: Rodriguez Cleaning Services is a 5 Start rated Company on all mayor online sites like BBB, Google, Angislist, Facebook, NextDoor and Yelp. We are exclusively refer by most of those well know interior designer and Realtors in Louisville as well as many flooring dealers. Experience: We are known for Showing up and do the work many carpet cleaners turn down. We have clean any soiling condition know in our industry as well as most fibers. Carpet Mill has used us to clean issues related to warrantee. Education: At Rodriguez Cleaning Services there is not a day we learn or research something. Continue education is part of life. We Are IICRC Certified on carpet Cleaning, Oriental Area Rugs as well as some other specialties. Systems: Our Two full time Service trucks are equipped with the lasted equipment and solution on the market including all the tools needed to get the work done. Guarantee: 100% Satisfaction is not enough for Us. With Rodriguez Cleaning Services you also receive 100% Money back guarantee. If Something is wrong we will rush back to your place and make right and if you are still unsatisfied we will refund your money. We are not in the refund business. We will do everything to make sure you receive the best experience ever. Rodriguez Cleaning Services is a professional Carpet Cleaning company in Louisville, KY that provides Cleaning services such as a Deep Carpet Cleaning, Fine Fabric and Upholstery Cleaning, Tile and Grout Cleaning and Oriental Area Rugs Cleaning as well as Carpet, Upholstery and area rug Protection ( Scotchgard ) and maintenance programs in Louisville Area. Our certified Carpet Cleaning technicians will ensure that you receive the most thorough cleaning ever or it is Free ! 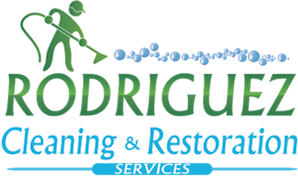 Rodriguez Cleaning Services uniformed technician will offer you the best experience you ever received from a window cleaning company in Louisville, KY. Starting with the plastic booties that all the technicians will wear in your home. Our Cleaning process goes above and beyond of all your expectations. Your windows will be hand washing with a T applicators and squeegees. Every ladder that we use in your home will have rubber protectors on both ends of the ladder to protect your floor, wall and windows. As Part of our window cleaning services in Louisville, KY we also offer screens, windows sills, chandeliers, light fixture, ceiling fans and mirrors cleaning. Let Us take of you and you spend time with your family. Our highly trained technicians will take care of all your outside Gutter cleaning concerns in Louisville Area. Whether is Cleaning the gutters or pressure washing your home on the outside. We ensure that our technicians will do a phenomenal work to make you see that you have chosen the best company in Town. Don’t get on those ladders to clean your gutter. Don’t take the risk that something happen to you and be out of work for weeks or months. Let us handle your cleaning and you sit back with your family while we take care of you. Rodriguez Cleaning Services is a certified commercial Carpet Cleaning company in Louisville, KY that specializes in a wide range of commercial services. Our commercial technicians handle everything from commercial carpet cleaning and upholstery cleaning in the inside to commercial Window cleaning and pressure washing in the outside. Contact Rodriguez Cleaning Services and let us ensure that your commercial Building is receiving the highest maintenance service possible.